Bhavnagar is traditionally known for its cultural heritage in the western India with its last princely ruler Shri Krishnakumarsinhji who was the first to donate his princely state to the Nation. 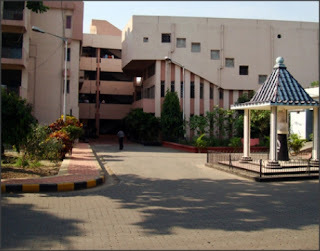 Mahatma Gandhi, the father of the nation received his initial college education in Shamaldas College during 1888, which is today run by Maharaja Krishnakumarsinhji Bhavnagar University. Bhavnagar District is situated between 21.18-22.18 Longitude and 71.51-72.18 Latitude. The district encompasses a total area of 12,048 sq. km. 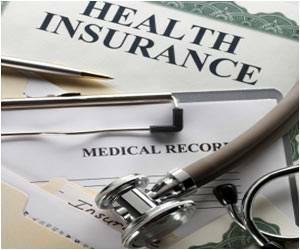 Insurance Regulatory and Development Authority (IRDA) has informed that the insurance coverage to AYUSH treatments has been facilitated through the Regulation 5 (1) of the IRDA (Health Insurance) Regulations, 2013 which are published in the official gazette and came into force with effect from 18.02.2013. 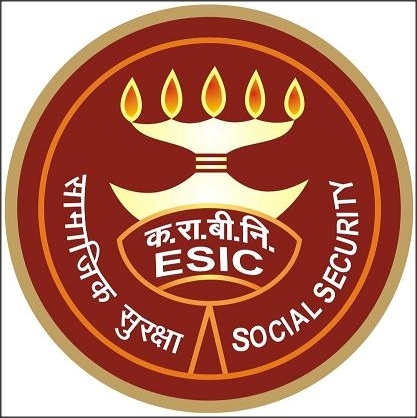 As per this regulation the insurers may provide coverage to non-allopathic treatments provided the treatment is taken in a Government hospital or in any institute recognized by India Government and/or accredited by Quality Council of India/National Accreditation Board on Health or any other suitable institutions. Children can get five to 10 colds each year, so it's not surprising that adults often turn to over-the-counter cough and cold medicines to relieve their little ones' symptoms. But a new University of Michigan poll shows that many are giving young kids medicines that they should not use. 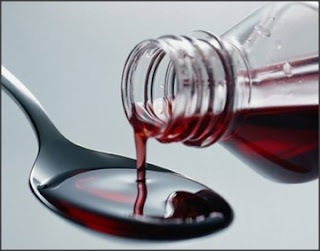 More than 40 percent of parents reported giving their children under age 4 cough medicine or multi-symptom cough and cold medicine, according to the latest University of Michigan C.S. Mott Children's Hospital National Poll on Children's Health. Twenty-five percent gave those children decongestants. In 2008, the federal Food and Drug Administration issued an advisory that these over-the-counter medicines not be used in infants and children under age 2. They have not been proven effective for young children and may cause serious side effects, says Matthew M. Davis, M.D., M.A.P.P., director of the C.S. Mott Children's Hospital National Poll on Children's Health. In response to the FDA, manufacturers of over-the-counter cough and cold products changed their labels back in 2008, to state that the medicines should not be used for children under 4 years old. "These products don't reduce the time the infection will lasts and misuse could lead to serious harm," says Davis. "What can be confusing, however, is that often these products are labeled prominently as 'children's' medications. A package for Attappadi( Kerala-India) tribal hamlets is likely to take a final shape in Wednesday's cabinet meeting, after several deaths due to malnutrition were reported from the area. The package would be finalized after ministers for health, and social welfare and scheduled tribes will submit a comprehensive report to the cabinet. The ministers, V S Sivakumar and P K Jayalakshmi, had visited the hamlets a few days ago. At least 12 malnutrition-related deaths were reported from the tribal villages in the past three months. NGOs working among the tribal population pegged the toll at 28 in 14 months. Sources said the package would be implemented in two phases, rolling out short-term and long-term remedial measures. It has been alleged that the Attappadi region was not benefitting from the government's social schemes. Bombay High Court (HC) directed the state government Monday to allow homoeopaths to practise allopathy. 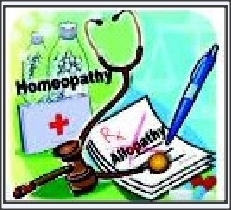 In a February 4, 2002, circular, the state had asked doctors holding licences under Mumbai Homoeopathic Practitioners Act, 1959, to restrict practice to homeopathy. 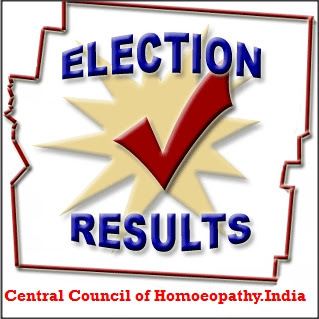 LCEH (licentiate of the court of examiners in homeopathy) Doctors Association challenged the circular in November 2010, asking the government and the medical education department to consider eligibility of homoeopaths to practice allopathy. On March 31, 2011, secretary, medical education and medical drugs department, rejected its application. The association then moved HC. It said the four-year LCEH course that included study of allopathy with homoeopathy was started in Maharashtra in 1951 and continued till 1982. 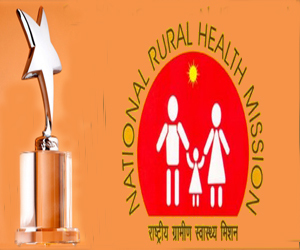 The Arogya Keralam-2013 award instituted by the National Rural Health Mission (NRHM) and the State Government will be given to the Kochi Corporation for its achievements in the health sector. The award was instituted this year to encourage local bodies that have excelled in the health sector by carrying out various health-related projects. According to an official press release, the Kochi Corporation was selected for the award after considering various factors including the health projects implemented by various local bodies, the most number of projects carried out in the health sector, fund utilisation for health projects, model and innovative projects, immunisation drives and people’s participation. The award will be presented at a function that will be held at the Kanakakkunnu Palace on Tuesday. Chief Minister Oommen Chandy will present the award at the meeting that will be presided over by Health Minister V S Sivakumar. Ministers M K Muneer, M Ali and K C Jospeh will also be present. 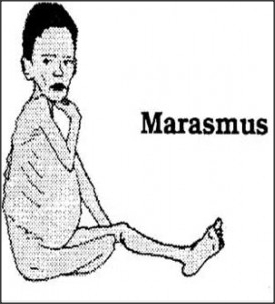 Marasmus is one of the syndrome of PEM (Protein rnergy Malnutrition)is manifested by stunted growth, loss of adipose tissue, generalized wasting of protein mass, and no edema, is thought to be due to the combined effects of protein and energy malnutrition. The other one is kwashiorkor, manifested by growth failure, edema, hypoalbuminemia, fatty liver, and preservation of subcutaneous fat, is thought to be due to selective protein malnutrition. 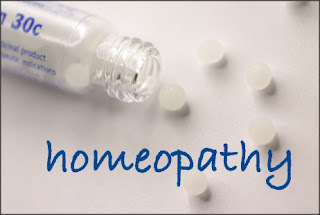 Homoeopathy emerging as an effective mode of treatment. Homoeopathy is emerging as a effective mode of treatment. Earlier being used for kidney stone treatment, people suffering from skin, hair, cyst and other ailments are seeking homoeopathic remedies. The homoeopathic clinics are mushrooming in the city. As, per the data provided by district homoeopathy authorities in Kanpur(India), the clinics have doubled in the past five years. There were around 450 clinics till 2006. The number is now over 1,000. The homoeopathy clinics are also getting a large number of patients. The people are seeking help of homoeopathic experts for various ailments including cyst, stones, cardiac trouble, etc. Patients are also following homeopathic treatment for skin and hair problems. According to the homeopathic experts, there is no term called disease in homoeopathy as it works on the concept of suppression of symptoms. The medicines are being given to treat the symptoms and do not leave side effects. "Homeopathy is safe. Unlike other medicines, homoeopathic remedies usually do not have side effects. 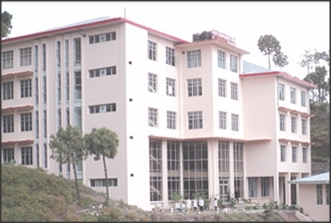 The ability to cause structural damage is nil," said Dr Sehdeo Singh, medical officer in-charge of Rajkiya Homoeopathic Hospital at Ursula Horsman Hospital (UHM). In a first, Uttar Pradesh has been selected as the "most improved state" under the National Health Insurance Scheme (NHIS). The award would be handed over to Alok Kumar, the scheme's CEO in the state, at a function in Thiruvananthapuram April 8. Official sources told IANS that the government took pride in the award as the state was till now infamous for corruption and poor showing in the crucial health sector, especially after the multi-crore scam in the national rural health mission (NRHM) during the Mayawati government. Barabanki, neighbouring Lucknow, is being awarded for the work initiated in the district, while the Uttar Pradesh Rural Institute of Medical Sciences and Research in Saifai - the native village of Chief Minister Akhilesh Yadav has been rewarded for good work as an independent hospital. 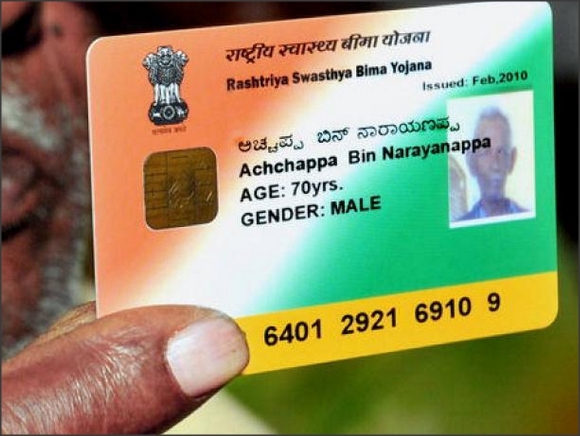 Compared to the first phase of the scheme, more than 25 percent of the below poverty line (BPL) population has been assimilated in the scheme and smart cards for 48,65,692 families have been made, an official informed IANS. Chamomilla is a plant which is also called Corn-Fever-Few or Matricaria Chamomilla. It grows in uncultivated fields, among wheat and corn, especially in sandy regions all over Europe. 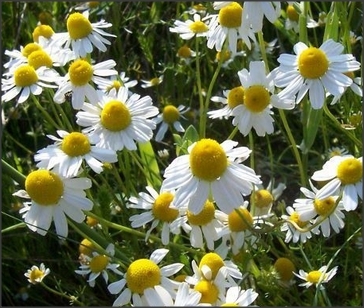 Chamomilla is particularly suited to diseases of pregnant women, nurses and little children. Especially of frequent employment in diseases of children, where peevishness, restlessness and colic give the needful indications. The senses are too acute. Hypersensitive to pain. These patients do not know what they want; they are unhappy and they make everybody else around them so. It is very difficult to please the Chamomilla babies.Various things are wanted that are not to be had, and which when procured and offered, are refused with disdain and discourtesy. Dr. M.G.R. 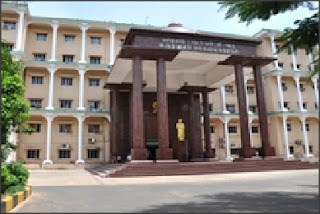 Medical University Tamil Nadu (MGRMU) has declared the BHMS Results 2013 on its Official Website www.web.tnmgrmu.ac.in. Applications are invited on three “A4” size papers (two pages for the application proforma and one page for the identification card) according to format given below from intending candidates of Indian nationality for Admission to 5& 1/2 yrs, BHMS Degree Course in Homoeopathy (including one year compulsory Rotatory Internship) at National Institute of omoeopathy, Kolkata, affiliated to The West Bengal University of Health Sciences for the academic year 2013-2014. Form can be downloaded from the Institute website. Photocopy of the downloaded form will be accepted. Candidates who have passed Higher Secondary (10+2) or its equivalent examination with five subjects including Physics, Chemistry, Biology and English are eligible to apply. She/He should have passed all the five subjects individually and obtained 50% marks in aggregate (45% marks for Scheduled Caste/Scheduled Tribe candidates). 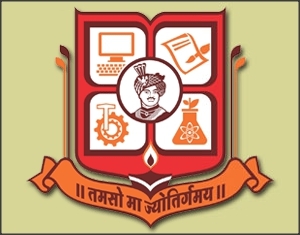 For the candidates who have appeared for Higher Secondary (10+2) or its equivalent examination, candidature will be taken into consideration provided that the result of that examination is published before the admission and they have secured the required percentage of marks which has to be substantiated by production of documentary proof.